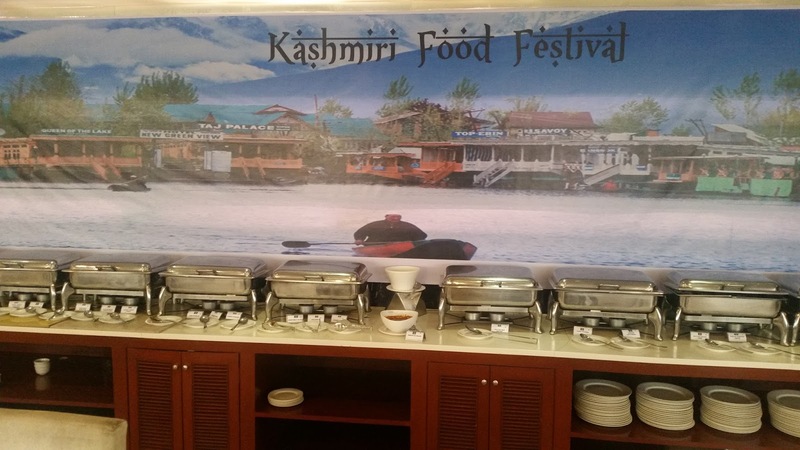 Hyderabad had its share of food festivals last year celebrating food from the Kashmir valley. ITC Kakatiya had done a promotion of Kashmiri Pandit cuisine, whereas Taj Krishna had a Wazhwan promotion. 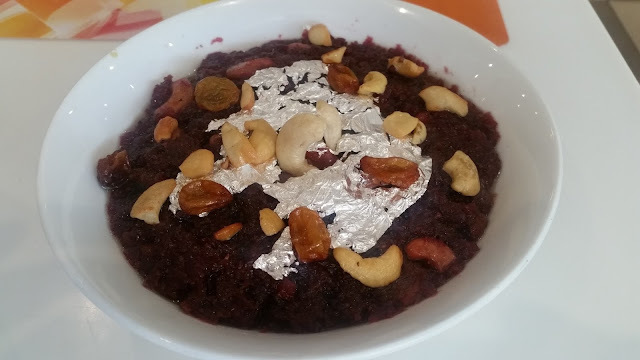 However, I had very good experiences at the Bengali and Awadhi food promotions at Siesta and was really looking forward to "Flavours of Kashmir", the Kashmiri Food Festival here. 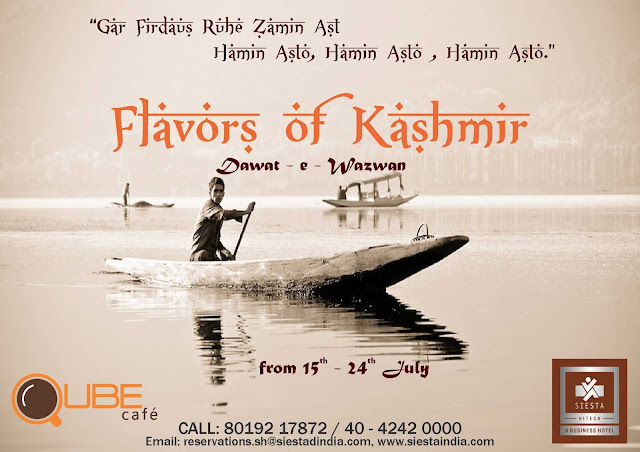 Two master chefs had arrived from Srinagar to join the Kashmiri pandit chef they already had on their rolls, so the fare promised to be extremely interesting. It was the second day of the festival, and it had an extensive menu. I started with Tabak Maaz, popular among the Wazwan dishes. The fried lamb ribs after simmering in milk and Kashmiri spices was cooked just the right amount. I remembered the words of a Kashmiri Chef who told me that making Tabak Maaz is a challenge, the meat should not be tough but also should not fall off the ribs. At Siesta, the dish was exactly as per that specification. 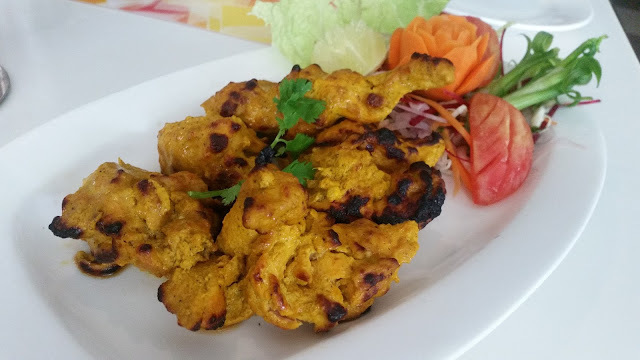 The other two starters I tried were Kukur Lebabdaar Tikka (soft boneless chicken marinated in Kashmiri spices) and Tsaman Zafraani Tikka (a saffron based paneer starter). Both the dishes had soaked in the marinade well, and I especially loved the flavourful paneer dish. It was time for the heavy duty main courses. 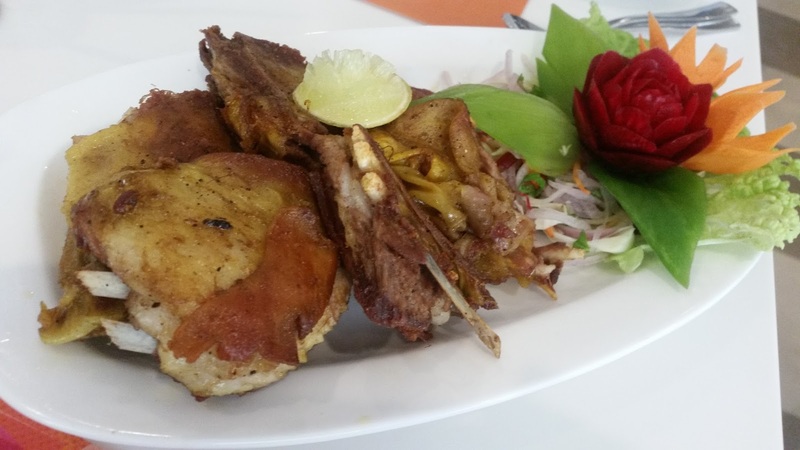 Kashmiris prefer a lot of lamb dishes on their plate, so the signature dishes of the Wazwan mostly use this meat. Also, spicy food keeps them warm during the cold winters. Rogan Josh serves both these purposes. The yoghurt and Kashmiri chilli based red gravy were my pick of the main courses. 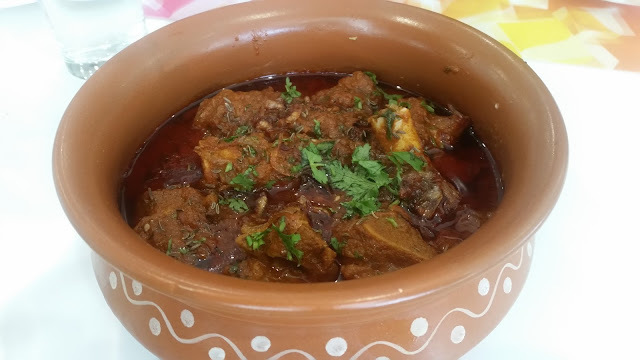 It was served with oval shaped and soft Bakharkhani bread. Next was a fish dish called Gadh Mujh, a yellow curry with sliced radish. The curry was simple and replete with flavours. 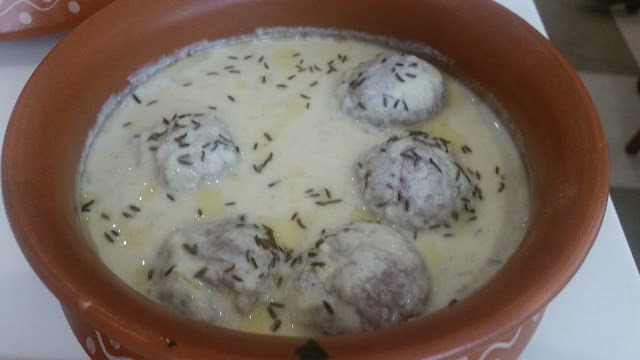 Gustaba (Pounded lamb mince balls in a yoghurt based gravy) was a tad too sour for me. 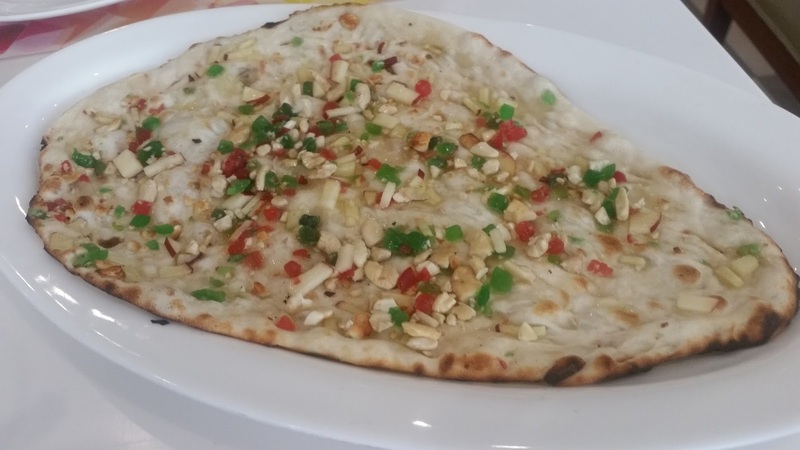 The Kashmiri Naan made its appearance somewhere in between. It was so good that it disappeared in no time. 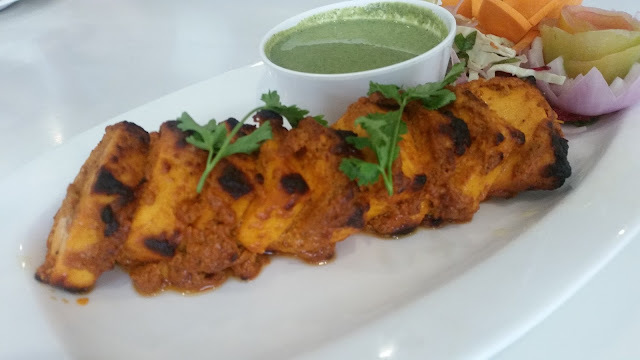 I especially enjoyed it with a vegetarian paneer dish, Methi Tsaman. 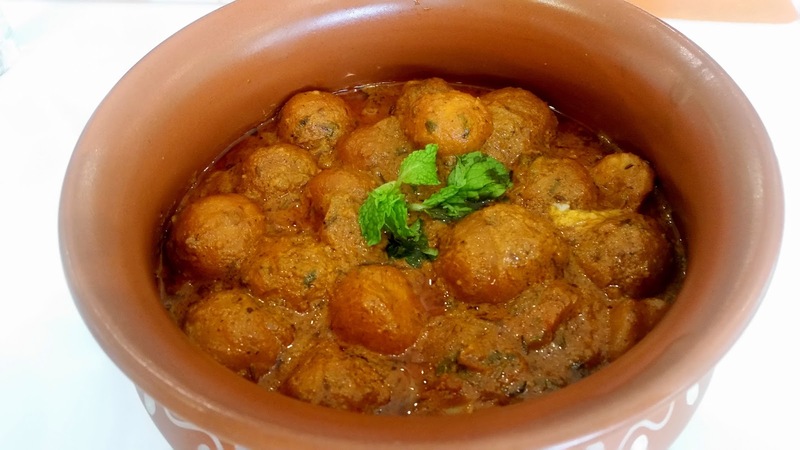 The most popular vegetarian dish in Kashmiri cuisine is the Dum Aloo, baby potatoes cooked in a red masala with more than a strong hint of Kashmiri chillies. 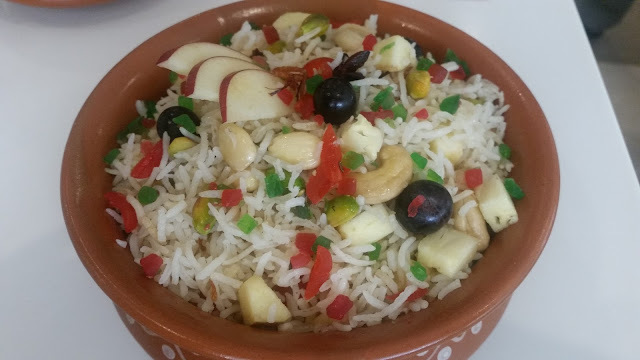 The Kashmiri Pulao with fruits and nuts was just the right thing to go with it. Lotus Stems are popular vegetables in the valley. Nadur Yakhni, a yoghurt based dish was a simple dish to go with rice. I missed the leafy Haak in the menu of the day, but I am sure it will be served on some other days. Finally the desserts. 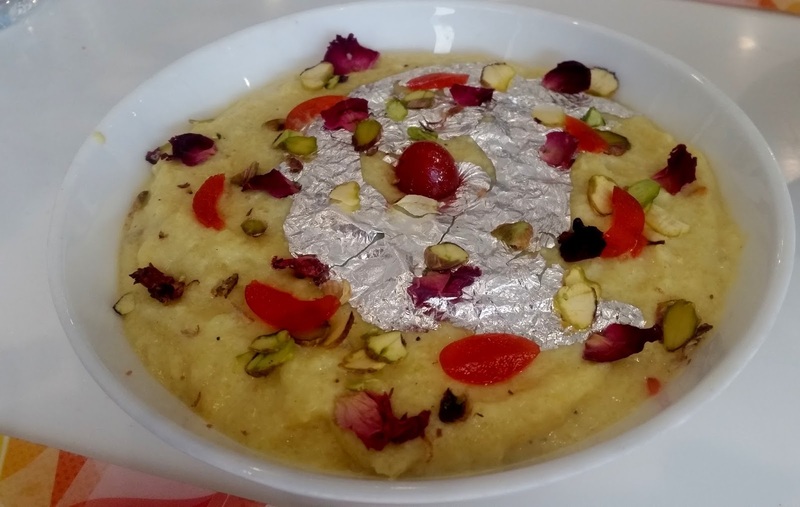 The Zafraani Phirni was good, but Chukandar-E-Afroz impressed even a dessert-averse person like me to try a second helping. A beetroot halwa with raisins and nuts, it was not very sweet but tasted heavenly. We ended a good meal perfectly with the Kashmiri version of Kahwa, infused with kesar, dalchini, and elaichi. The Chef team at Qube has tried to make the preparations as authentic as possible, and in my opinion, have dished out another successful promotion. For the price of Rs 550 at which this is offered at Bookmyshow, it is a complete steal. The management of Siesta Hitech has to be complemented for bringing diverse cuisines from India to their customers at an affordable price. 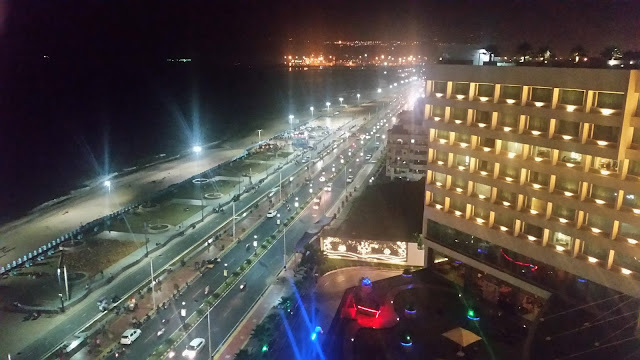 The festival is on till 24th July only for dinner.